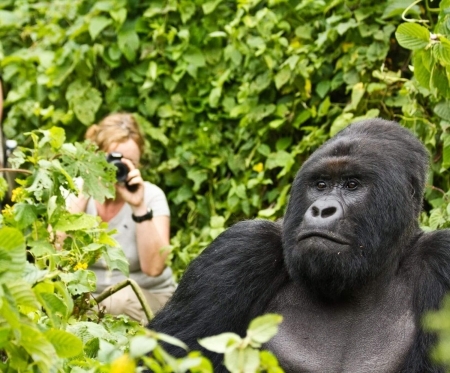 Enjoy Kenya Safari and Beach Honeymoon Package. Have a romantic trip, go through Kenya and visit Nairobi; Lake Nakuru National Park home to a shifting population of over one million flamingos; Maasai Mara Game Reserve, most famous and most visited game reserve in Kenya and Diani. Note: Concerning tipping, the budget is (approx. $ 2.00 – $ 4.00 per person per day for lodge and hotel staff, $ 1.00 per bag for porters and $ 5.00 - $ 10.00 per person per day for driver-guides). Jambo! Upon arrival at Jomo Kenyatta International Airport in Nairobi, you will be met by our representative who will greet you and assist with the transfer to Sarova Stanley Hotel for overnight. Overnight at Sarova Stanley Hotel. After breakfast drive to Lake Nakuru which is the most famous of the Great Rift Valley lakes and home to a shifting population of over one million flamingos. Arrive in time for lunch at the Sarova Lion Hill Lodge, which enjoys sweeping views across the lake. Lion Hill Lodge impresses every guest with its panoramic view of the pink shoreline created by millions of flamingos on Lake Nakuru. The Lodge is situated within the Lake Nakuru National Park Rift Valley Province and is surrounded by natural flora and fauna in its beautiful grounds. Overnight at Sarova Lion Hill Lodge. Your journey now takes you to the Maasai Mara, Kenya’s most famous wildlife reserve. 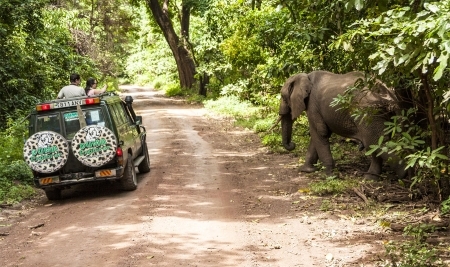 Arrive in time for lunch followed by afternoon game viewing drive. You will have one more day of game viewing with all meals and overnight at your camp. The Maasai Mara is arguably Kenya’s most popular game reserve. 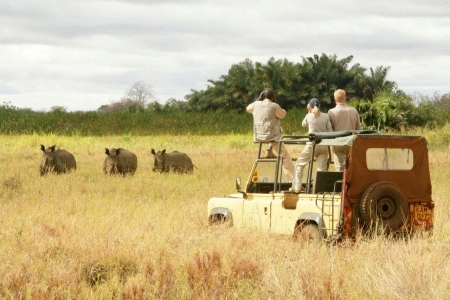 It is most famous and most visited game reserve in Kenya. The film “Out of Africa” was made to a great extend in this sanctuary. There is a profusion of all types of wildlife including the big five. A spectacle worth seeing is the annual migration of millions of wildebeests, zebras, and the gazelles from the Serengeti plains across the Tanzania border and the Mara river to reach Maasai Mara grazing fields from late June. The game reserve abounds with birdlife since close to about four hundred and fifty two odd species have been recorded. Mara Sarova is a combination of luxury and adventure, it invites you to experience the thrills and excitement of the world famous Masai Mara. The location of the camp is an ideal spot to capture the true essence of the wild and experience breathtaking views of great wildlife species including the "Big Five". Mara Sarova Camp offers the unique opportunity of experiencing a tented safari with a difference: 75 luxurious tents are set amidst lush extensive gardens. All tents come with permanent floors and include a private WC and shower with hot and cold running water and electricity. Full day in the reserve to enjoy game viewing and other activities on offer at the camp. Today marks the end of your bush expedition. Have breakfast at the camp after which you will check out and will be transferred to the airstrip for your flight to Ukunda via Nairobi. Arrive in Diani with a transfer to your hotel. Full day at t he hotel to enjoy activities offered at the hotel.